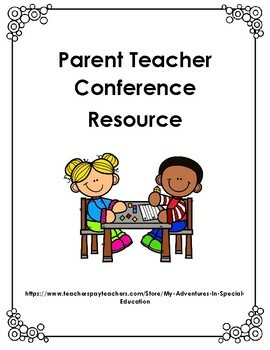 This resource is to help you organize information to provide to parents during a parent teacher conference. 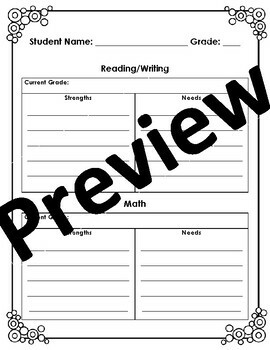 Sections include: reading/writing, math, science/social studies, and behavior. 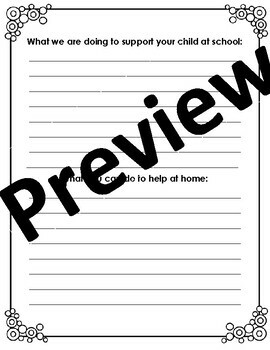 There is also a page to document what the school is doing to support the student and suggestions for what the parent can do to help at home. Ideas for the school support section are provided on the last page! 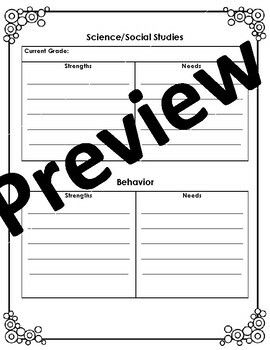 This document is in PDF format- however, if you would like an editable version just purchase this version and message me. I will send you an editable word document.